Guess who completed a Wilderness Basics Course?! This girl!! I had a number of people who had taken it recommend it and I put off taking it for a whole year. So glad I finally got around to doing it. It was in preparation for this course that I learned about the PCT. The course is 10 weeks of learning so much about camping, hiking, gear, even land navigation. Best of all I met some awesomely fun people that I will surely be hiking/camping with again! My girls Betsy and Liz, you guys rock, thanks for the rides, homemade granola, laughs/chats, tent sharing and so much more! Oh yea there was also these great trips! I squeezed through the slot canyons of Canyon Sin Nombre, scrambled over boulders at Hellhole Canyon and navigated Borrego Mountain’s West Butte. 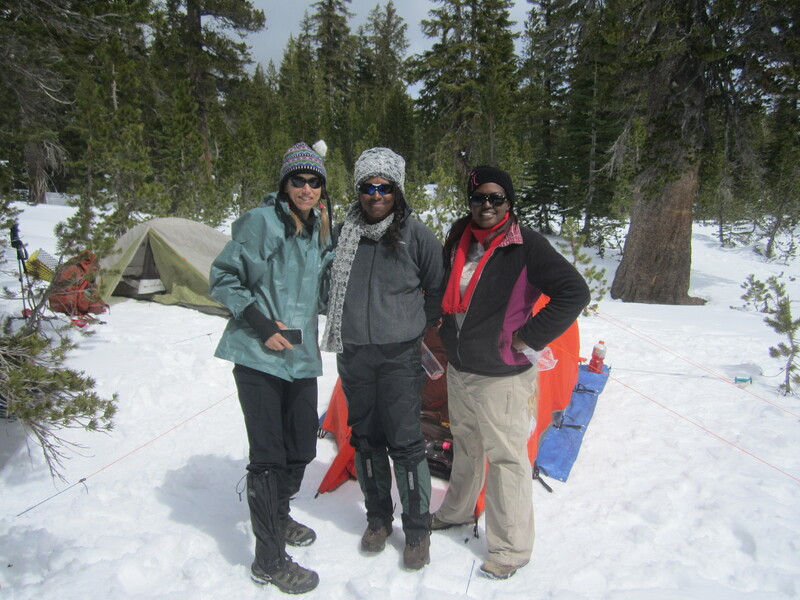 The last trip was snow camp at Mammoth Mountain.This was a really great experience. 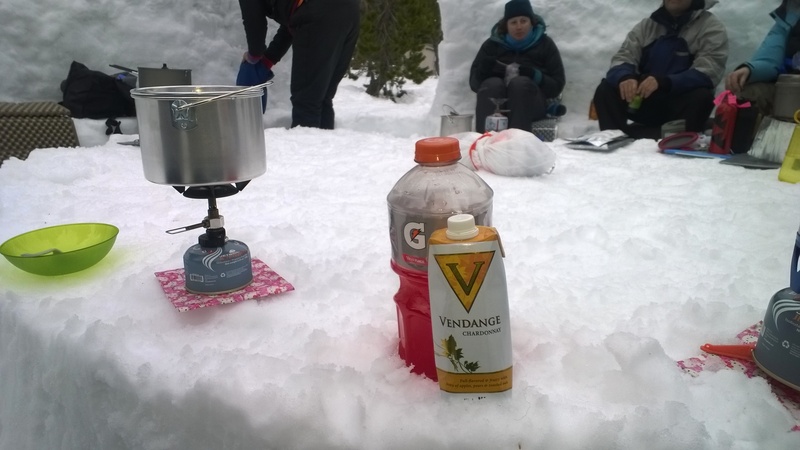 With full packs we snowshoed out to our camp site, not before getting a warning from ski patrol that a storm was coming. After setting up tents we built epic snow kitchen and privy. Right after dinner it started to snow and it snowed pretty much all night. 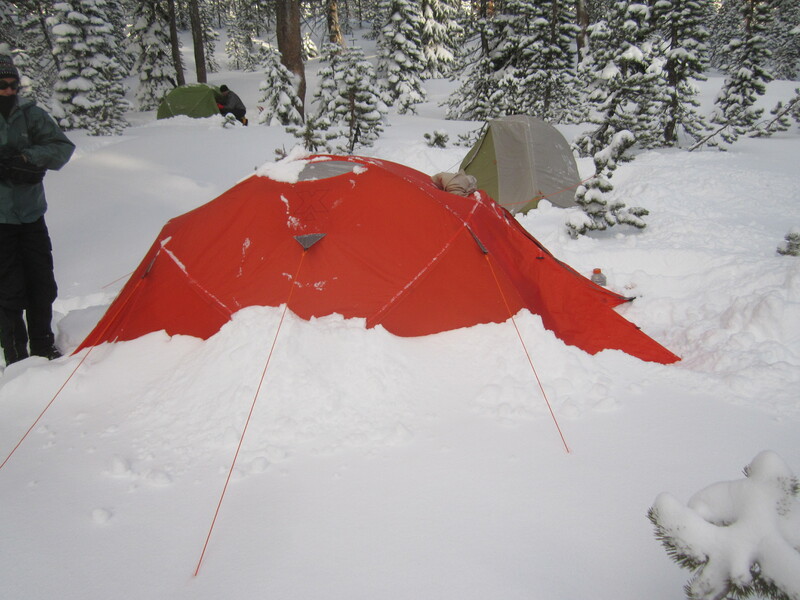 (Thanks Sonie for that 10 degree sleeping bag/pad, I was nice and toasty) We woke to avalanche cannons and about 9 inches of snow! What fun, and my Chardonnay stayed chill the entire trip! Check some pics here. So I passed the course test and the class is over. But my backpacking adventures are only just beginning. You are so awesome. It was a blessing meeting you and developing a friendship with you. I feel so lucky to have met you! Looking forward to our next adventure!